Edmonton is a smart city, a leader in using innovation to improve municipal services, from public safety to public works to transit. ‘Smart City’ is a term used to describe a municipal ecosystem where technology, innovation and collaboration intersect to create improved civic services and enhanced quality of life for citizens. Smart Cities are the communities of the future, where government, post-secondary institutions, the arts, not-for-profits, school boards, private business and citizens work together as partners to build a better tomorrow. As a Smart City, Edmonton is a world leader in leveraging technology and innovation to provide an exceptional quality of life for its citizens. From hosting a robust Open Data Catalogue, turning garbage into biofuels, using data to fight crime, encouraging healthcare innovation or designing a carbon-neutral community, the City encourages all individuals, industries and academic sectors to work as partners in our open innovation ecosystem. For Edmonton, being a Smart City is about more than just adopting new technologies and encouraging innovation. Together, we create and nurture a resilient, livable and workable community that rises to the challenges we face today, provides our citizens with a joyful experience and embraces the opportunities of tomorrow. 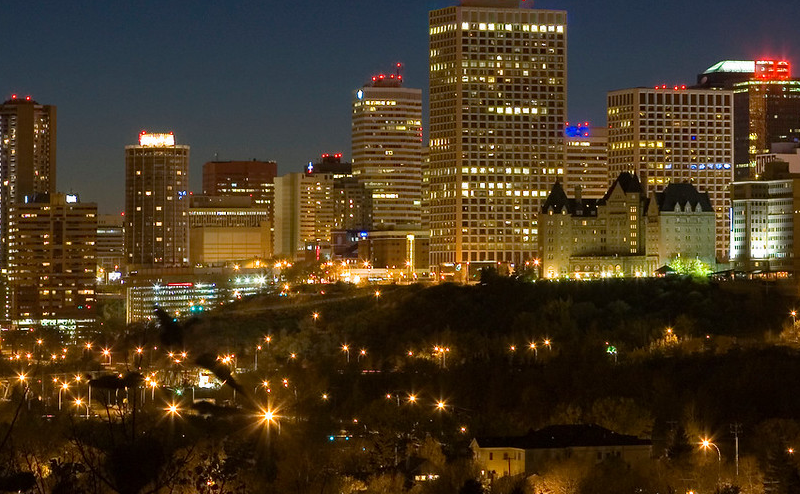 The City of Edmonton has gained international attention for its Smart City efforts. In 2017, Edmonton's Open City Initiative received the Gold Prize in the Open City Category of the WeGO Smart Sustainable City Awards, which recognize and promote outstanding information and communications technology, e-Government, and Smart City innovations. The City was also named among the 2017 finalists for Intelligent Community of the Year as awarded by the Intelligent Community Forum, in part due to our strong relationships with local businesses, post-secondary institutions and not-for-profits. Visit Awards and Recognition for more on Edmonton's Smart City achievements. New ways to deliver energy will be an essential part of the new Blatchford Community. Edmonton is one two Canadian cities participating in a program aimed at developing basic standards for Connected Vehicle Technology (CVT). Edmonton is using data to find innovative ways to fight crime. Edmonton’s innovative Waste Management Services are turning garbage into biofuels. A business accelerator joint venture between the University of Alberta and City of Edmonton.